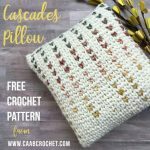 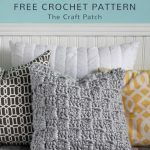 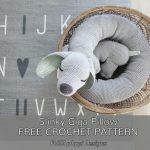 The free crochet pattern of this Snowy Owl Pillow is designed by Stuff Steph Makes. 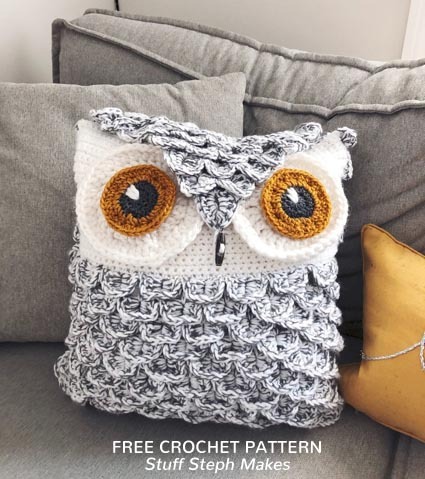 The feathers of the snowy owl are made with the crocodile stitch. 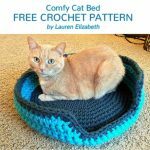 The free crochet pattern of this comfy cat bag is designed by Lauren Elizabeth.